04-10 Engage The latest European news, research, opinion and trends in the world of print, media, advertising and marketing. — 12-13 Take 5 The world’s greatest print marketing, including an airline ad you can snack on, a movie pull-out you can make a hat with, and a wine bottle that doubles as a book. — 14-15 Thought Leaders Scott Manson, Director Of Content for OgilvyOne UK, explains how print offers the personal touch, while Tammy Willson, Sales Director for The Times argues why people trust print newspapers for their authority and insight. — 16-20 Fake news At a time when the public are quickly losing trust and respect for online news, people are turning to traditional media for their credibility and fact-checking systems. Discover why your brand is safe in the hands of print. — 22-25 Measuring print’s effectiveness Print is one of the world’s most effective mediums, but how do you go about measuring that effectiveness and what can you learn from the results? — 26-29 Lidl We speak exclusively to the retail giant’s Head of Media to discover why the UK’s fastest growing supermarket invests so heavily in print. 30-34 The neuroscience of reading print Reading print improves the understanding and retention of advertising, as well as forging emotional bonds with customers. We delve deep into the mind to find out why. — 36-40 Door drop developments It may not have the glamour of TV, but door drop continues to be a very powerful and cost-effective way to get your brand into the hands of millions of consumers. Discover how improved targeting and new thinking is changing the industry. — 42-45 The creativity of direct mail Whether it’s new technology or a burst of creativity, these are exciting times for direct mail. Find out how you can harness the power of the mail-out. — 46-49 Millennials and print Put your preconceptions to one side – today’s young are just as likely to be reading a print publication as tapping on their phones. We investigate the multi-channel nature of the modern millennial. — 51-57 Knowledge From direct mail and customer magazines to catalogues and magazine advertising, discover why print media should be a key part of your marketing strategy. — 58 Final word Frank Zuidweg, Marketing Coordinator of Nikon Professional Services, explains why print is ideal for the camera brand to communicate with its professional customers. Make print memorable Celloglas is the UKâ&#x20AC;&#x2122;s leading specialist in decorative print finishing. Decorative print finishes can be used to deliver innovation and added value, increase user interaction, demonstrate brand category leadership, enhance sensory experience and even stimulate debate in social media circles. To find out how our creative finishes can make your publication stand out on the shelf, call Steve Middleton on 0116 263 1010 for a free consultation. content, including digital and on television. The study also found that not only do readers become more involved with a magazine’s content, they also enjoy the adverts, with over half (55%) saying they enjoy ads more in magazines, compared to reading or viewing similar content on TV. What’s more, nearly as many (53%) readers of certain titles (First for Women and Woman’s World) said that the advertising was an important part of why they read those magazines. Our custom-made 9-colour Perfector Press is on its way! We’re advocates of the benefits of print; from its environmental sustainability to its unique properties that keep paper-based media alive in a digital age. We stay at the forefront of print technology, which is why we’re investing in our new state-of-the-art custom-designed 9-colour press. So you can look forward to adding stunning combinations of textures, varnishes and finishes to make your publication pop. To share our passion for innovative print and find out more about our new 9 colour Perfector Press arriving in August, call 01952 585585. A full-bodied read The Italian wine company Matteo Correggia have created a wine bottle that combines two of life’s greatest pleasures: drinking and reading. Knowing that wine and books go well together, the company introduced wine bottles that come wrapped in short stories, with each story written to complement the characteristics of the wine. So far the stories include ‘I Love You. Forget Me’ by Regina Nadaes Marques, which, according to the company, goes well with Nebbiolo Roero, a red wine with a full-bodied taste, while a comical murder mystery called ‘The Murder’ by the satirist Danilo Zanelli, blends easily with the fresh and light spirit of the white Roero Arneis. Hats off to Swallows and Amazons To promote the film Swallows and Amazons, the makers STUDIOCANAL partnered with UK newspaper The Daily Telegraph to create a four-page pull-out that not only featured outdoor activity ideas for children but could be folded into a pirate hat. Readers were then invited to upload pictures of their children in their hats to an online competition page for the chance to win an exclusive prize. As well as exceeding the client’s expectations in both competition entries and box office return, the campaign recently won a prestigious Newsworks Planning Award for Best Newspaper Campaign. The search for equality A poster and press ad campaign designed to highlight the lack of women in the Egyptian workforce has found its perfect home in print. Created by ad agency DDB for UN Women in Egypt, the Where’s Wally?style series of intricate images challenges the viewer to spot the sole woman in the crowds of workers and focuses on the three male-dominated industries of politics, science and technology. “Even though the percentage of women in the workforce is so low, the issue still goes largely unnoticed,” says Firas Medrows, Executive Creative Director of DDB Dubai. “By creating these elaborate ads that you really spend time looking at, we wanted to raise awareness for the cause.” Can you spot her? magazine for 7-10-year-old boys and girls. In the UK, we’re only a small island but we can support a relatively healthy newspaper industry and small print-run magazines can hold their own. If you want evidence to show people are engaging with print on a daily basis, you only have to get on the tube or a train carriage and see half the passengers reading Metro, the Evening Standard, or one of the ‘freemium’ magazines. Shortlist in particular seems to keep growing in circulation, and it’s full of ads too, because if you get the content right in any format, people will want to read it and the advertisers will follow. It doesn’t have to be free – Private Eye, for instance, sells 200,000 copies in print. I also like Viz, which I pick up every month as it gives me several really good laughs, and there aren’t many magazines or newspapers you can say that about. Digital has the obvious advantage of being able to feature moving images and multiple formats such as audio clips or interactive infographics. But with digital campaigns we still talk about ‘thumb-stopping moments’, and I think print can also provide that in its own way. It’s that point where you stop scrolling – or fl icking – through the pages and notice that piece of content you want to engage with. That can be on a tablet, a website or a print spread, and you go, ‘This looks great. I’m going to stick around here’. If you’re providing that, then brands will want to get on board. or magazine, talking to people at the right point, rather than just allowing people to decide where they place the advertising. It’s important that we are the guardians of the advertising that has the privilege of sitting alongside the editorial that our journalists produce. People often say that print newspapers make for an immersive experience, and that’s certainly true. But we are edition-led across all platforms, and that means people also read The Times from cover to cover on the mobile or tablet. They are spending a significant amount of time with the product in a number of different formats. As regards advertising, with our print product, readers often say to us in focus groups that they view the advertising as part of the reading experience. We also carried out some neuroscience research, which found that when you look at how people consume the news on the page, they spend as much time looking at the adverts as they do the printed word. We recently relaunched Luxx, our luxury high-end glossy magazine, as a four-timesa-year product, and we’ve found that within that environment, the advertising is as much a part of the product for the consumer as the advertising. And they have to fit together well for that experience to be at its best. / FAKE NEWS Dutch party leader demonstrated with radical Muslims Before the March elections in The Netherlands, Freedom Party MP Geert Wilders tweeted a photoshopped image of rival party leader Alexander Pechtold rallying with “Hamas terrorists” holding up signs saying, “Shariah for the Netherlands.” The photo was actually from the UK in 2009. Merkel takes selfie with terrorist A Syrian refugee’s ‘selfie’ with Chancellor Angela Merkel in Berlin was spread via Facebook, wrongly claiming he was involved in terror attacks. He subsequently sued the social media network. Here are just a few of the dubious stories that were widely shared online over the past year. Did you fall for any of them? Pope forbids Catholics from voting for Hillary Clinton The website Tell Me Now made this claim based on a 2004 letter from the previous Pope, Benedict XVI, which actually said Catholics could vote for who they saw fit, regardless of stance on issues such as abortion and euthanasia. The USA is funding migrant traffickers to Italy The website TzeTze, funded by the populist Five Star movement and boasting 1.2 million followers on Facebook, made this claim before the Italian referendum on constitutional reform. Prime Minister Matteo Renzi was forced to resign after the vote went against him. Man saws possessions in half to give to ex-wife In widely shared YouTube footage titled ‘For Laura’, a newly-divorced man, ‘Martin’, was filmed sawing a bicycle, a car and even a teddy bear in half to return her share of their possessions. It was later revealed to be an advert for a German legal company. Islamic extremists set fire to Dortmund church In January, Breitbart News claimed that a mob chanting “Allahu akbar” had set fire to a Dortmund church on New Year’s Eve. In fact, a fire lasting just 12 minutes occurred after netting on scaffolding was set alight by a stray firecracker. 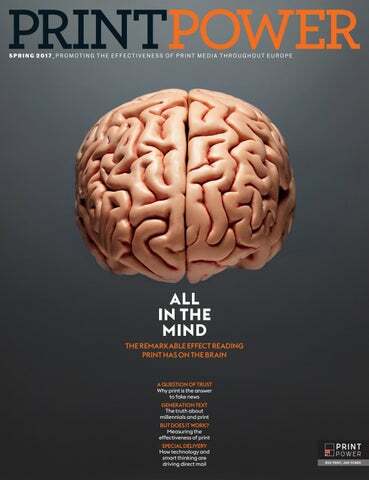 remembering it by rote – neurological studies show that print has the edge. For example, a 2012 Stavanger University study of school students concluded that, “Students who read texts in print scored significantly better on the reading comprehension test than students who read the texts digitally.” Other studies have found that those reading on screen also found the experience more stressful and draining than those reading paper. Anecdotal evidence backs this up. Writing in Wired magazine last year, science writer Brandon Keim observed: “What I’ve read on screen seems slippery. When I recall it, the text is translucent in my mind’s eye. Pixels don’t seem to stick.” While neurological factors may partly explain this, other studies have suggested that psychological and sociological factors are also at work, reflecting a cultural prejudice against reading online (we are, after all, all native paper readers). Others say our learning is inhibited because websites struggle to present long texts in an intuitive and satisfying way. And as any regular online reader can attest, when ads are popping-up at regular intervals, concentration levels are not easy for anyone to maintain. Brain training Five examples of mind-expanding print from around the world Flow Celebrating its founders’ love of paper, feelgood psychology magazine Flow was launched in the Netherlands in 2008. The idea soon caught on – it now publishes eight editions a year plus four in English, while editions are published by Gruner & Jahr in Germany and Prisma Media in France. A recent issue of the Dutch issue came with its own DIY stamping booklet. Monocle With a UK circulation of over 80,000, Tyler Brûlé’s flagship magazine uses brilliant illustrations, thick matt paper and a unique format to stand out. The strategy has been so successful it’s inspired an annual spinoff, The Forecast. Other titles to have pursued this approach include slow news journal Delayed Gratification and film title Little White Lies. Smith Journal Ethel King’s paintings of a golden-crowned snake, published on paper stock so heavy it almost feels marbled, are a tactile highlight of Volume 21 of Smith Journal. This Australian quarterly that publishes “interesting, funny and sometimes complicated stories” is a joy to hold – you pick up a copy carefully, afraid that one careless motion will ruin this flawless artefact. Vogue Published in 21 countries, the glossy fashion magazine makes a point of letting readers see themselves reflected in the paper as if they are part of the glamorous life they’re reading – and fantasising – about. The formula obviously works: 101 years after the first title went on sale in the UK, the publisher has just launched its latest foreign edition, Vogue Arabia. La Gazzetta dello Sport First published over a century ago, Italy’s La Gazzetta dello Sport is a tactile pleasure, using its traditional broadsheet format and authoritative shade of pink to reinforce the gravitas, variety and extent of its editorial content. The printed product is in a class of its own – as both a statement of identity and Italy’s least expensive fashion accessory. So, although we don’t own a piece of direct mail, we are more likely to value it than content on screen, which we feel less ownership of. When Sappi invited people to assess brands purely on the way they were being promoted (high quality coated versus cheaper uncoated paper and online), they found they were three times more likely to recall the name of the brand on quality, coated paper and were more impressed by that company. The smart solution All this suggests that the capacity for printed communications to connect with the human brain will mean it remains the go-to format for anyone wanting their words to have a deep and lasting impact. Keim’s article for Wired concluded that “the smart reading device of the future may be paper” because print is superbly designed to help us understand messages too complex to be contained in 140 characters or a 30-second soundbite. So when Axel Springer’s marketers, searching for a slogan for their intelligent bi-monthly Horzu Wissen, came up with “The magazine that makes you smarter”, they were saying more than they realised. – full fart og fullpakket moro! the door drop channel is well regarded by customers compared to other forms of advertising. In 2016, a five-year study conducted by consumer insight specialists Toluna found that 60% of consumers in Europe prefer to receive retail oﬀers via door drop media – more than any other channel, including newspaper adverts and online oﬀers. New approaches Elsewhere, we have already seen radical developments in the door drop industry. The Danish national mail service PostNord Dansk introduced a ‘reversed targeting’ system in 2012, where consumers would be given the option to go online to opt in or out of commercial mailouts, or only receive those from sectors of the market that interest them. On the one hand it limits the reach of door drop, but on the other it means marketers have part of their job done for them – they are automatically only targeting potential customers rather than bombarding uninterested parties with messages destined for the recycling bin. Meanwhile, another channel within a channel has opened up in the past decade, which consumers are increasingly getting used to across Europe – leaflet inserts. Financial and HR enterprise cloud application provider Workday wanted to invite Chief Financial Officers from Germany’s largest companies to a classical music concert, but didn’t just want to send a boring paper invite. Advertising agency Saint Elmo’s Munich came up with an innovative alternative in the form of a music box created by AudioLogo. The box has a black sleeve that bears the words ‘Where does the music play in your human resources department?’ written in gold foil. The sleeve reveals a box covered in colourful graffiti and inside is a conductor’s baton. “When opening the box, one hears tones of various instruments warming up – the orchestra of the Munich Philharmonic,” explains Christopher Bardin, Owner and Managing Director of AudioLogo. “Then, when you pick up the baton, the music suddenly changes. The orchestra warming up turns into classical music. Then the volume of the music becomes full and dynamic. The classic sound of the Munich Philharmonic, under the direction of Chief Conductor Kevin John Edusei, turns into rap music by the band EINSHOCH6.” To create the full effect of a loudspeaker AudioLogo used a transducer, which effectively turned the box’s carton material into a speaker, creating a multisensory delight and effective mail-out. One of the biggest challenges facing brands today is getting highly targeted and responsive DM messages out to customers. Although brands have the ability to capture data, they can’t fire out communications quickly enough since they have to design the creative then get their print partner to produce and mail out packs – a process that, compared to digital media, takes a long time. However, if a new ‘programmatic’ DM service offered by Paperplanes takes off, this issue could be a thing of the past. The idea is the brainchild of Daniel Dunn, formerly of Dunnhumby and now founder of Paperplanes. “We are taking the best aspects of digital delivery – the ability to move at speed and automate – and combining that with the effectiveness of the DM channel,” he explains. So if a retailer wants to run a campaign targeted at people who abandon their shopping basket, Paperplanes takes the retailer’s customer lists, product assets and creative, and sends them a piece of direct mail in the post. The company is currently setting up trials with customers, but it’s already achieved impressive results. It ran an abandoned basket campaign in the UK for plus-size clothing retailer JD Williams and saw a 14% increase in sales recovery and an 8% increase in average order value. Inserting one video screen into a DM pack is a complicated process. So imagine the problems UK-based Talking Print faced when it was tasked with producing a three-screen personalised video brochure for business software company SAP to showcase the company’s digital boardroom technology. As well as personalising the pack, there was also a personalised envelope, as well as those three screens that played a video interacting across them to reflect the boardroom scenario that SAP’s technology is typically used in. “As you can imagine, there were a few challenges to ensure the mailing was foolproof and 100% successful,” says David Hyams, Founder of Talking Print. “Linking the three screens so they activated in unison when the brochure was opened was the biggest challenge, but we worked with the factory that provides the modules to find the best solution.” The packs, which were sent to senior directors in large organisations across Europe countries, were deemed highly successful. “The physical piece was very impactful and resulted in enquiries from a number of its senior-level recipients,” says Andrew Baillie of marketing agency Anderson Baillie. Baillie also says that follow up calls from SAP account managers resulted in “multiple new business opportunities”. Global furniture giant IKEA came up with a challenging brief for its advertising agency LIDA, to “send an email without an email address” to members of IKEA Family – the retailers’ loyalty scheme in the UK. These individuals had been identified as high-value customers, but the company didn’t have an email address for them. As it wasn’t possible to send a digital email, LIDA hit upon the idea of sending a physical email with a twist. The agency created the prototype of an email window carrying marketing messages that was sewn onto hessian fabric. This was then sent to a manufacturer in China who produced 40,000 stitched ‘emails’ to be mailed out to IKEA customers. Recipients were told that if they provided an email address they would instantly receive a money-off voucher, as well as useful or relevant communications from the brand in the future. “In line with IKEA’s reputation for craft and design, the approach was inspired by cross stitch design,” says Vaughan Townsend, Creative Director at LIDA and the creative lead for the project. “To send an ‘email’ in this way was intriguing and exciting for the recipient.” The approach worked, with 13.5% of people receiving the pack going on to provide their email address and opt in to email communications with the furniture store. by the one that came before it, then today’s millennials are in an unenviable position. According to a plethora of pundits, this generation is addicted to their smartphones and unable to read anything but a social media feed for more than 30 seconds. It’s easy to assume that digital natives have failed to pick up non-digital habits, but this assumption is flawed. Facts not myths Millennials, like the rest of the population, may always seem glued to their phones, but evidence suggests that they are increasingly taking a self-imposed break from the internet. Ofcom found that, of the 1,861 teenagers and adults it surveyed in 2016, those 24 years old or younger were the most likely to embark on a digital detox, with just over 40% saying they had purposely switched off from the internet. And across Europe, 72% of millennials say that they read a print product on a typical day. That’s around the same proportion as their parents (73% of GenXers do the same) and their grandparents (71% of Boomers), showing that printreading habits are alive and well1. Put these two statistics together and a very different idea to the smartphoneaddicted millennial emerges. Instead, this generation pick and choose and mix and match across media, crafting the information age to their own agenda. Newsworks CEO Vanessa Clifford dismisses the idea that millennials don’t read print. “It is a myth that young people are not engaged in print media,” she says. “They are very similar to other generations in what they read and the platforms they read it on. They just tend to use online media more than other demographics.” Clifford also supports the idea that millennials mix and match across different media, pointing to a study by Newsworks and the University of Bath that found that in every generation, readers consumed content in five different modes: Fix, Track, Fill, Indulge and Invest. Fix (accessing content constantly), Track (keeping up to date with a breaking story) and Fill (accessing content to pass the time) were digital-centric activities. But Indulge (content as a break) and Invest (getting an in-depth perspective on a specific issue) were print-centric. 1_ Reach and reliability Not only do newspapers reach a lot of people, these people span a wide age range (60% of German 14-29 year-olds are reading), while different sections and supplements allow advertisers to tap into specific groups and backgrounds. 2_ People read newspapers For many, newspapers are the most reliable form of news and information, backing up this factual accuracy with credible opinion and insight. This level of trust leads to readers spending a huge amount of time reading their newspaper – 69 minutes on average. 3_ Emotional connection Neuroscience has demonstrated the power of newspaper advertising to drive a strong response. Tracking of in-market campaigns has reinforced this, with 20 studies providing clear evidence of national newspapers’ strength in generating increased emotional identification (NMA). 4_Universal appeal Newspapers know that if they are to thrive in a hyper-media world, they need to offer their reader not simply news but a huge variety of content. This means that no matter what the brand, there’s always relevant content for a brand to fit into. 5_Versatility Newspapers are the only medium where a brand can alter their campaign late in the day and still communicate it to half the adults in an entire nation the next morning. 6_ Integration Studies prove that newspapers are fantastic at driving readers to advertiser websites, proving the significant cross-media effects of using online and offline advertising. 7_ Effectiveness Newspapers give any brand an immediate response, as virtually all of the reach is delivered on the day the ad appears. And compared to other media, newspaper production costs are low. 1_ Fantastic reach With over 50,000 titles published in Europe, selling in excess of 20bn copies per month, magazines are one of the most widely distributed forms of media in the world. 2_Fine-tuned targeting Each magazine title is specialist in some way, reaching a certain demographic or interest group that will engage with relevant advertising or featured brands. 3_Focused activity Reading a magazine requires high levels of concentration, the same levels of concentration that will be devoted to advertising as well as editorial content. 4_The trust factor Magazines are a trusted friend to their loyal readership, and any brand that places themselves in that magazine can capitalise on that trust and use it to foster a new relationship. 5_Integration On average, more than half of all readers take action on magazine ads, a response that can be optimised when the ad is used as part of a wider campaign. Brand awareness, for example, can be doubled. 6_Awareness generation Research shows that awareness generated by magazines and TV is roughly the same, but given that the expense of advertising in magazines is lower, they offer a more cost-effective solution. 7_Driving sales Research shows that magazines are a powerful tool in driving sales. A PPA study showed that 63% of readers were driven to action after exposure to magazine advertising. Claire Beauty Room and a Clarks boutique, each title ran three spreads and an advertorial in their print editions, showing real-life consumers shopping in key cities across the UK. Taken with areas in key Clarks stores styled by editorial teams and a style academy held at Clarks’ HQ in Somerset, the multiplatform campaign was a huge success. Awareness was raised, with consumers 41% more likely to remember seeing Clarks advertising after the campaign, while three in five said the campaign made them feel more positively about Clarks. The campaign’s success also translated into sales, with Clarks going from the second most purchased shoe brand to number one. 1_ The mail moment Direct mail enters an individual’s home and is consumed on a oneto-one basis. This gives you much more time with your customer, time you can use to engage them in a relaxed environment at a time of their choosing. 2_ Sensory experience The physicality of a mailing adds another dimension to the brand experience. Using your customers’ senses, you can stimulate and entertain, getting them to reassess your brand and drive response. 3_ Precision targeting Direct marketing works best when it’s made relevant for the recipient, with tailor-made content appealing directly to the consumer. New digital printing technology can make this personalisation even easier. 4_ Make people act Direct mail is the most likely form of communication to get a response from a customer, with the cost of every response measured with accuracy. As it’s a tangible object, DM is also likely to hang around. 5_ Effectiveness Reports have demonstrated the enduring effectiveness of direct mail, with 48% of UK adults having done something in the last 12 months as a result of mailing and 30% having bought something (Royal Mail). 6_Get creative Direct mail is unique in that mailings can be produced in a wide variety of formats, using different shapes, sizes, colours and materials to create a surprising and memorable brand experience that will stay in the home for weeks and even months. 7_ Integration Adding direct mail to an integrated campaign can raise the campaign’s effectiveness by up to 62% (BrandScience), while bridging technologies such as QR codes and augmented reality make it simple for consumers to go from print to digital. be entered into daily draws to win a number of prizes. Once at the show, visitors handed their ticket to staff on the door, had it scanned then entered the hall, listening out for their name to be called in the prize draws. Golden tickets featured a unique ID that when scanned married up to a visitor’s pre-registration record, which then gave organisers their contact details so they could identify prize-winners. Of the 20,000 pieces of direct mail sent, more than 2,000 visitors brought their golden ticket to the show. Reflecting on this response rate, Event Director Chris Davies said the return represented a “phenomenal” achievement for an event in only its second year. 1_ Substance There’s nothing to beat the feel of a magazine. Taken with its portability, ease of use and sense of glamour, it offers the reader control and entertainment in one neat package. 2_ Engagement Magazines are the most effective medium when it comes to engaging your customer, entertaining and informing them while delivering your brand messages. 3_Targeting power Since a customer magazine is so versatile with its content, it can target any number or group of people, from specialist interest to mass market. 4_ Effectiveness When it comes to results, customer magazines are among the best. Print offers a vital guarantee of measurability, with brand awareness, sales tracking and ROI calculated within days of the magazine’s release. 5_ Loyalty One of the most common reasons for launching a customer magazine is increasing loyalty, with a brand achieving regular and reliable time with its customers. 6_ Entertainment A magazine builds your customer’s faith in your brand by offering great content at little or no cost. Entertain them and you’ll have their attention all to yourself. 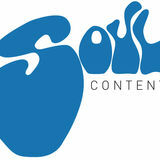 7_Complex content Print works fantastically well at getting across complex content or marketing messages. So if you need to explain something in detail, a customer magazine is likely to be the best option. and inspiring them with activity ideas and the latest Association news. With content divided into three sections, The Briefing, Features and Activities, the magazine focuses on being useful to the reader, packed with practical advice and activities that work towards achievement badges for the young people they inspire. The magazine has gone down extremely well with its readers, who see it as useful, relevant and interesting. A recent survey has shown that the majority of readers say it provides them with inspiration and ideas, as well as making them feel like a valued member of the organisation. 1_ It delivers ROI Door drop drives rapid and measurable response that shows an impressive ROI – and it’s growing. A recent ELMA study shows the door drop industry has grown 4.8% in media spend and 3.8% in volume over a five-year period. 2_Mass-market medium Door drop is the only truly national mass media available to marketers, with a satisfying 100% reach. Despite the advances in other media, door drop is still the only way of delivering a document into the hands of millions of households. 3_Right environment The fact that the consumer receives your material in their own home is crucial. They can absorb and respond to the messages in their own time, never being forced or coerced. 4_Targeted when required Using geomarketing, you can pick and choose which demographic you’re after, gathering vital data along the way. With this data, your campaigns can become more and more sophisticated. 5_It’s creative A lot of brands take advantage of the creative potential of door drop, with many using innovations such as holograms, scented paper, 3D techniques and pop-ups to grab attention. 6_Sample distribution Getting your product directly into the kitchen of your prospects is a fantastic way of raising awareness of your brand, as well as getting your customer to try it. 7_Easily integrates Door drop works harder when used as part of an integrated campaign, pushing people to go online or call a number for more information. into a small replica of a kitchen that would not only tell the customer that they had a cockroach problem but give them the number to call to remove them. If they left the piece of card in their kitchen overnight, any cockroaches would be attracted to the card by its edible ink, which they would eat to reveal a hotline number for the customer to call. And it worked: by targeting and distributing cards in towers known to be pest hotspots, this unique piece of door drop achieved a response rate of 11%, which was 9% higher than standard business cards in the market. 1_ Accessibility The advantages of print catalogues are their ease of use, level of trust and accessibility. They are portable, aspirational and designed to be picked up repeatedly. 2_Information-packed The catalogue is a lightweight and readily available source of information, with most questions answered within its pages. Price, look, colour, size, quality and performance can all be communicated quickly. 3_Seduction technique For high-end products, a catalogue offers an opportunity to draw the customer into the brand’s world, giving them an experience that goes way beyond the shop window. 4_Building the brand Catalogues offer the brand a significant amount of time with their customers, strengthening the relationship and building the brand. 5_Targeting opportunity Since the main distribution method for catalogues is post, targeting is a key element to ensure you are reaching the right prospect. Whatever demographic you are after, you can reach them in a matter of hours. 6_Brand loyalty A well-produced catalogue that stays true to the brand will foster large amounts of brand loyalty, with the customer satisfied that their custom is worth the effort and cost involved in its production. 7_Effectiveness Working alongside direct mail, online and digital media, the catalogue’s ability to have its results measured quickly and accurately is a significant advantage for the marketer. fundamentally a marketing tool, the magazine speaks to the customer in such a way that they never feel like they’re being sold something. That’s very difficult to do with digital. — What role does print have in the internet age? Although the internet is perceived as very customer friendly, I cannot imagine a higher level of convenience than receiving a magazine to your door automatically. You can do so much with tablets, phones and digital devices, but there’s only one thing you can do with a printed magazine, and that’s read it. There are no distractions. For our professional users, digital media has a very strong connection to their daily work. Many spend long days behind their screens, editing images, replying to email, and much more. In comparison, a wellmade magazine with quality content can be an excellent reason to sit down, relax and enjoy the content. Another possible reason, especially for photographers, is that print pays more. If you’re a fashion or wildlife photographer, you can make more money in print through magazines, calendars, exhibitions, books and fi ne art. If you look at David Yarrow’s work, for example, it demands to be printed in large scale to be fully appreciated. — Is print the natural way for Nikon to communicate with its customers? Our products are used for producing both digital and printed output, so I think both of those mediums have a place. However, a lot of digital advertising can only be as big as a tablet screen and most is dismissed as an annoyance. Even if such communication contains quality images, the chances are that you will lose your readers’ attention instantly. But if you have something in print and you’re reading it, you have already made an investment in it. Printed media may currently be undervalued, but people will soon realise the benefits of print again. COMBINING THE ECONOMY OF INKJET WITH THE FLEXIBILITY OF CUT-SHEET, SO DIGITAL PRINTING WORKS BETTER. The best innovations often come from combinations. Discover the productivity of inkjet paired with the extreme versatility of cut-sheet – for a price that combines nicely with your budget. Work can work better. ©2016 Xerox Corporation. All rights reserved. Xerox,® Xerox and Design® and Work Can Work Better are trademarks of Xerox Corporation in the U.S. and/or other countries.